Highly absorbent wipers with triple-layer construction are engineered with Spinlace® technology. Great for cleaning up messy oil and water spills. Excellent as a replacement for everyday rags. 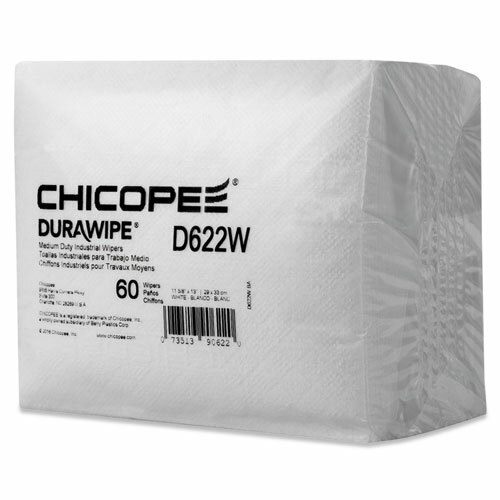 Soft wipes with a cloth-like feel are gentle enough to clean face and hands. Machine washable up to 90° C for at least 40 washes. 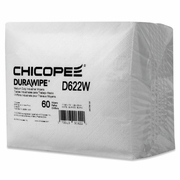 Chicopee Durawipe Medium-Duty Industrial Wipers, 11.6 x 13, White, 60/Pack, 16Pk/Carton SOLD BY THE PACK.